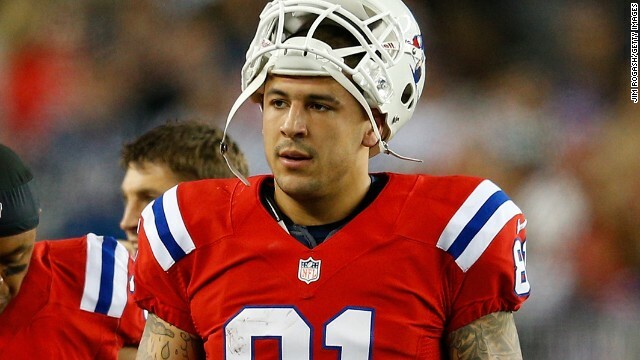 Patriots tight end Aaron Hernandez is used to throngs of media clamoring to ask him questions, but the NFL star has never had to deal with them camping outside his home. After reports that the player had been questioned in connection with a homicide not far from his Massachusetts house, that's what he's been faced with for the past three days. A line of reporters waited on the road in front of his house Wednesday, along with neighbors eager for a word from the player. Nearby, police sifted through the woods for clues that could shed some light on what happened to Odin Lloyd, 27, who was found dead less than a mile from Hernandez's expansive home in North Attleborough. Hernandez has yet to say anything publicly. Well gees, i bet the whole neighborhood was questioned!